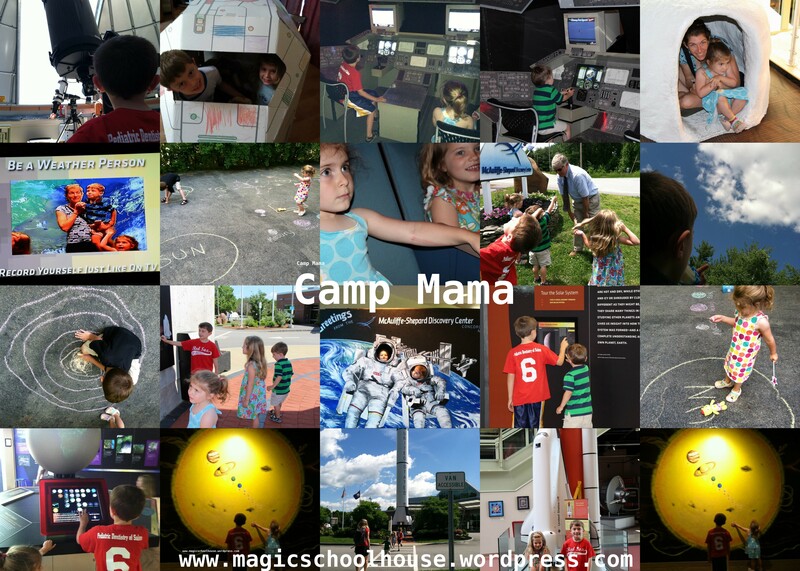 We are just loving Camp Mama! Night Camp was such a fun theme and we all really got into it. We started the week off on Sunday morning by bringing out their cardboard rocket out of the attic. The kids had a “blast” playing in it and it was the perfect kick off activity. 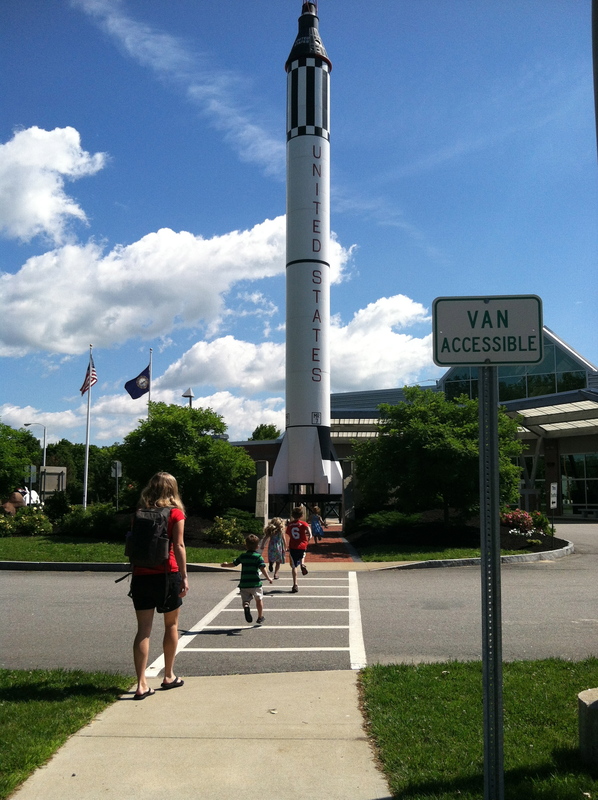 Monday we met my mom, sister, niece and nephew at the Planetarium and Discovery Center. The kids had a great time checking out the exhibits and we got to see the new Magic Tree House Planetarium show! Z and I have read all the books so this was super exciting for us to see. Lil’C was scared stiff but made it through the whole show which was great. After a birthday lunch with my dad (he works across the street) the kids and I headed to the observatory. This was the highlight of the week for me! We got to view the sun with two high-powered telescopes and the scientist even moved the observation tower (the room moved) to get a better position. I have never been in an observation tower before, have never seen the sun through a telescope and can’t wait to go back at night. Such an amazing experience for all three of us! The rest of the week we read dozens of space books, books about night vs. day and summer solstice books. We drew the planets on the driveway, cloud watched and made suns for Summer Solstice. Another favorite activity of the week was our Summer Solstice Celebration. We conducted night vs. day experiments comparing how fast we could run and jump at night vs. day, whether we could see better at night or during the day and whether we could sing better at night or during the day. 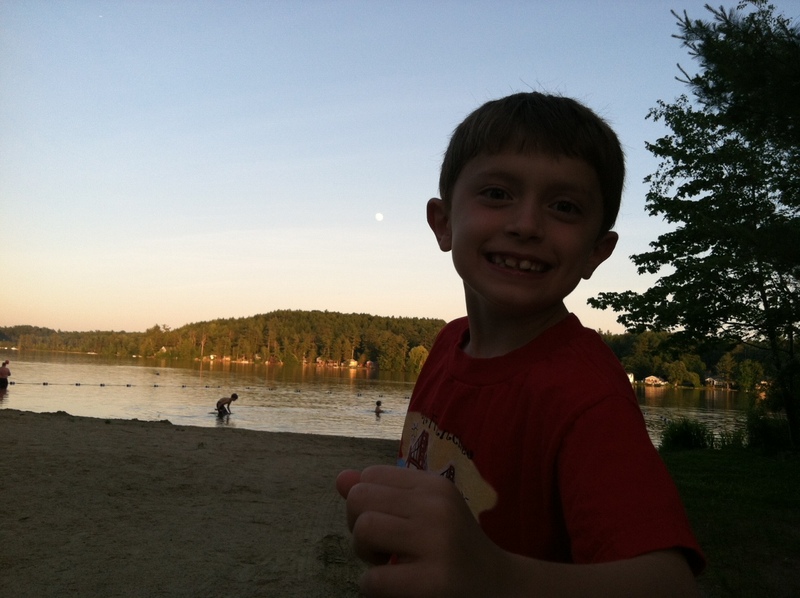 We ate s’mores, played with glow sticks, went on a moon hunt, played at night and enjoyed the longest day of the year!! 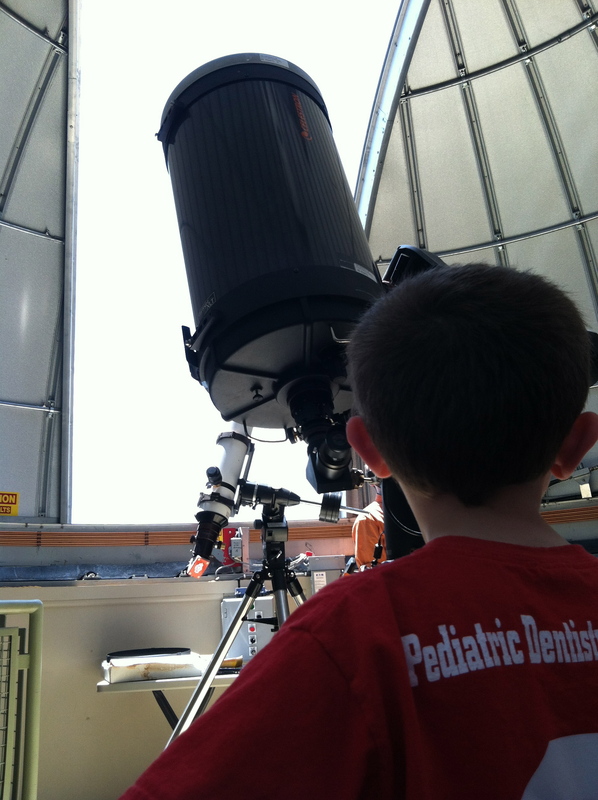 Sunday we wrapped up the week with another trip to the Planetarium where they had a whole day devoted to the moon. There were astronomers to ask questions of, crafts, great exhibits and we brought Daddy up to the observation tower to see the sun! What a great week. Next week we are diving into the world of sports! Check back tomorrow to see what we have planned.